Welcome to Drama Kids online registration! Please provide your information below and click "Submit" when done. Credit cards are not charged at this time. 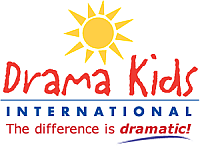 Thank-you for registering with Drama Kids International. Once you have made payment to us, enrollment is complete and that class spot reserved for your student. Tuition is non-refundable and is due as required by the payment plan you select. Payments made under our monthly and quarterly plans will be made automatically on the dates stipulated. We will use the credit card information provided on this form unless instructed by you otherwise. Pease note that monthly payment option will be done by auto-debit only. However, you will have a chance to cancel auto-debit payments at anytime with a 30-day notice. There will be a $15.00 late fee applied to late payments. There is a $20.00 returned check charge for any checks returned by the bank. Class schedules may be subject to change due to low enrollment or long wait lists. In the event of low enrollment and classes being canceled, full refunds will be given. In addition, the undersigned gives permission to Drama Kids International, its owners and operators to seek medical treatment for the participant in the event they are not able to reach a parent or guardian. I hereby declare any physical/mental problems, restrictions, or condition and/or declare the participant to be in good physical and mental health. No credits or prorates will be issued for missed days of class. DKI is not responsible for the supervision of participant(s) either before or after the participant's regularly scheduled class time. If a student is attending an in-school program, Drama Kids is NOT responsible for getting students to class. It is the responsibility of the student to report to the drama class location. The STUDENTS MUST REPORT TO US. On the 1st day of class, the school will typically make an announcement letting students know where to report. We do not normally know where class will be held until the 1st day of class when the school assign's us a location. All students will be escorted to the front of the building by their Drama Kids teacher when class is over. Students NOT attending any other after care program, will need to be checked out by an authorized adult. The adult must be listed on the registration form and must show a valid ID in order to pick up the child. If your child is NOT registered with an after care program, a $15 fee will be assessed if he/she is picked up more than 10 minutes after Drama Kids dismissal. Each 10 minute increment will result in an additional $15 fee. On 1st occurrence a reminder will be given, unless more than 20 minutes late, fees will be assessed. On the 2nd occurrence, late pick up fees will automatically be assessed, in addition to requiring your child to be registered with the after care program at your child's school. As the legal parent or guardian, I release and hold harmless Drama Kids International, Inc. and its franchise owners, and employees from any and all liability, claims, demands, and causes of action whatsoever, arising out of or related to any loss, damage, or injury that may be sustained by the participant and/or the undersigned, while in or upon the premises or any premises under the control and supervision of Drama Kids International, Inc. its franchise owners, and employees in route to or from any of said premises. Drama Kids International reserves the right to photograph and videotape programs and participants for training, advertising, or any other lawful business purpose.